As the World Purrs: What is Kitten Season? Gus: Mama cannot wait for Kitten Season! But exactly what is kitten season you may be asking yourself? Kitten season is the time between late spring to late fall when the greatest number of kittens are born. Cats start mating as soon the days start getting longer and the weather starts turning warmer. Unaltered females can go into heat as young as 5 months. Females are usually in heat for about a week. During that time they can mate many times with many males. Because of this, kittens within the same litter can have different fathers. The gestation period for cats is around 65 days. If you do the math that means an unaltered female can have a two or three litters a year with four to six kittens on average, that is a lot of cats! Mama loves her kittens but animal shelters are overtaxed during kitten season. At some shelters kittens are euthanized due to lack of shelter space. You can help by having your cats spayed or neutered. If there are feral cats in your neighborhood work with a a local organization to Trap Neuter and Return (TNR) the cats. World Spay Day is Feburary 24. Many organizations will be offering specials on spaying and neutering so keep your eye out. 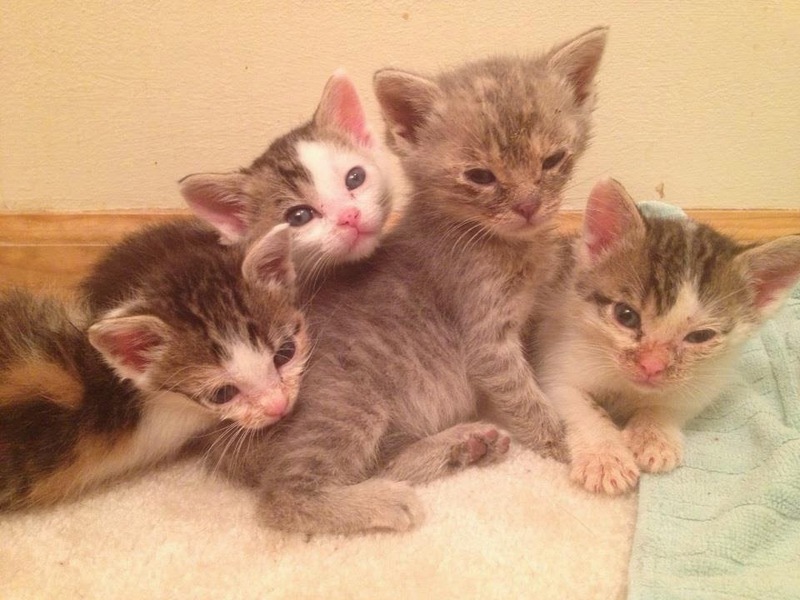 Once kitten season is in full swing, you can help by adopting, fostering, or donating.